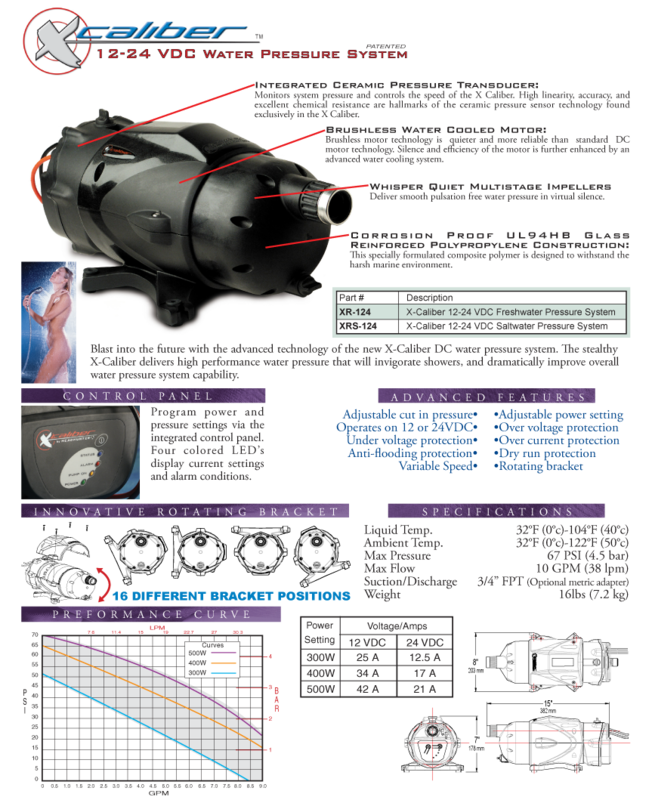 X-Caliber-12-24 DC Water Pressure Pump| Headhunter Inc.
Quiet, reliable, blasting water pressure. Combining advanced DC motor and control technology with a proven self-priming centrifugal pump, the X-caliber surges past the competition with a flood of features. A built in microprocessor interfaced with a rugged ceramic temperature and pressure sensor provides variable speed operation, prevents dry running damage and ensures complete electrical protection. Program power and pressure settings via the integrated control panel. Four colored LED’s display current settings and alarm conditions.